If you want to know how much income you have compared to how much money you are spending from the company, than use this template. You can compare amounts that include rent versus utilities or inventory versus the cost of the goods. You can compare the gap between different areas in the same company or with multiple companies. 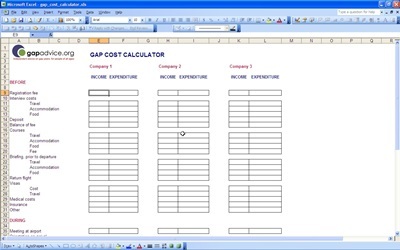 Who Will Benefit From a Gap Cost Calculator? A business that is growing will benefit because it can determine how much money they are making in a year. However, a business that is sinking in debt can use the template to determine where to cut money.